A rematch of Superbowl 39 where the Patriots won their 3rd title in 4 years. The Eagles have proved everyone wrong so far in the playoffs after going into every game as the underdog, scraping past the Falcons before absolutely thumping the Vikings. Tom Brady led the Patriots from behind (stop me if you've heard that before), to knock the Jaguars out in the AFC title game. As an Eagles fan it's pretty difficult to give an unbiased opinion, but I genuinely think they'll win. The Jaguars gave the blueprint on how to beat the Patriots, they just didn't have the depth/coaching to see it out. 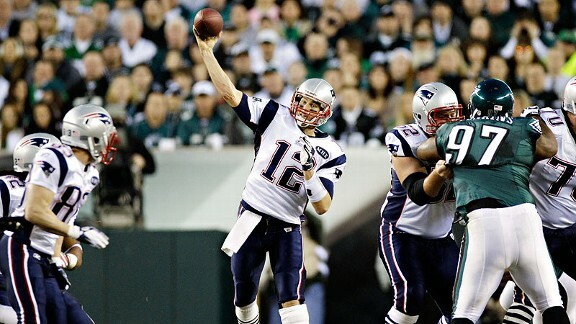 To beat Brady you need to get pressure without having the blitz and sustain long drives on offence (run the ball). The Jags got to Brady in the first half but tired due to lack of depth, where the Eagles have backups that could start on most teams, allowing them to roll in and out and stay fresh for 60 minutes. The issue the Eagles will have is limiting Lewis & White catching passes out of the backfield, they've struggled against pass catching running backs quite a lot this season. On the other side of the ball, the Patriots defence has a great secondary but their front 7 is pretty weak, going up against arguably the best offensive line in the league. If the Vikings couldn't get to Foles with the talent their defence has, the he should have all day against the Patriots. The key for the Eagles is if they get a lead they need to stay aggressive, the Jags went conservative after they got a lead and regret it. If Doug Pederson calls a game as good as he did against Minnesota they'll win comfortably.